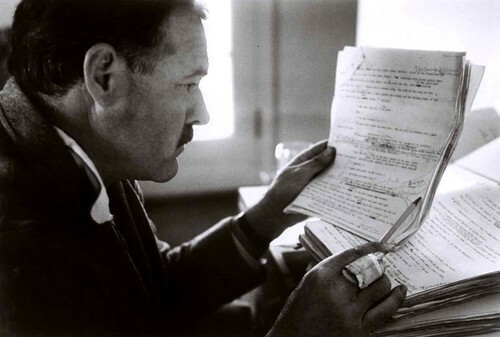 Hemingway editing on his boat. My three favorite things: Hemingway, writing, and boats. Super Villain? Or Super Author? "Never was a story of more woe..."